150 + racers will be taking on the challenge of the "Ricochet", a fast test of speed, bravery and skill. 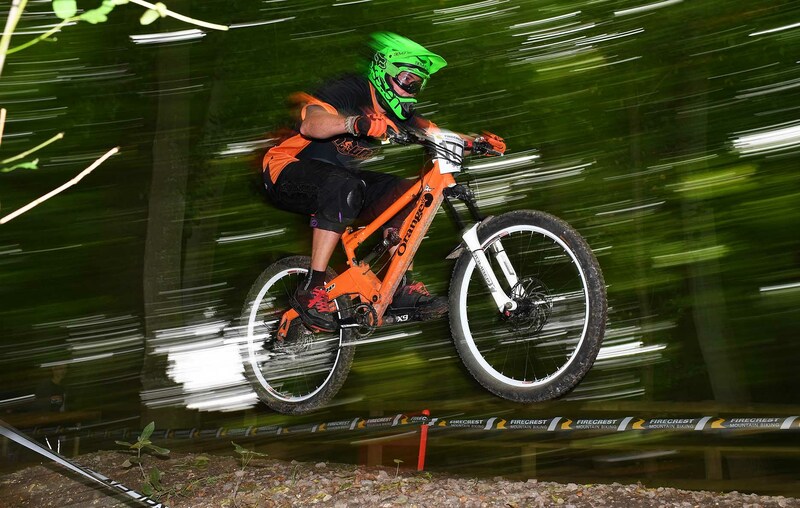 With Red Kites flying overhead, Wendover Woods lie on the northern ridge of the Chiltern Hills on the Buckinghamshire / Hertfordshire border and is home to the Aston Hill Downhill MTB Track. It is a fantastic setting for what will be some best and most dramatic downhill riding around. 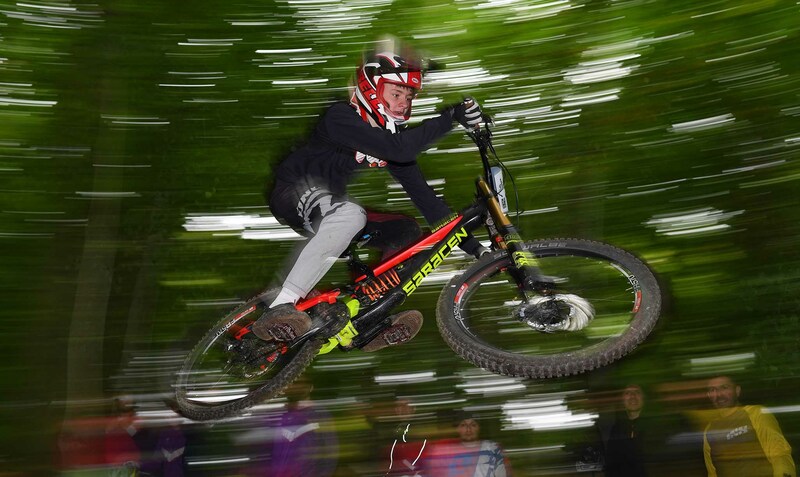 At an elevation of 260m Aston Hill Bike Park is one of the South-East's premier Mountain bike racing areas. 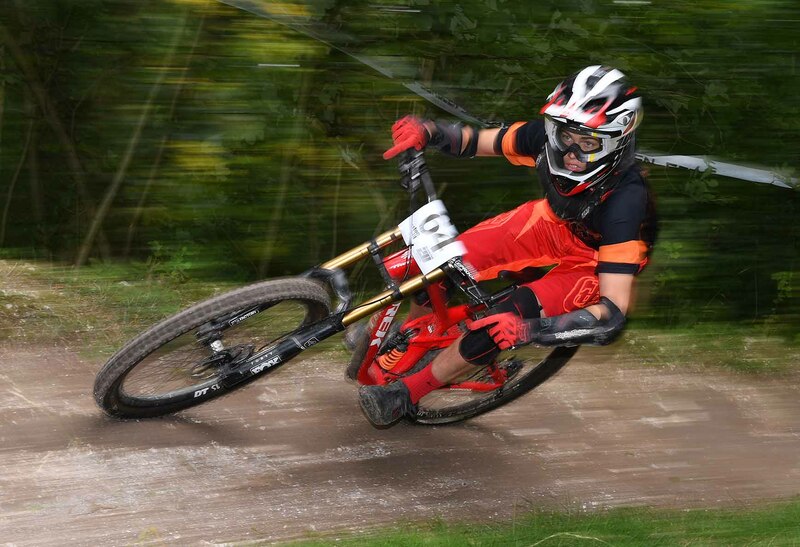 It offers 5 downhill tracks of varying levels and includes a challenging 4 mile XC Loop and track. It's awesome. The racing provides for some excellenet sports action photography and you will be shooting in the heart of the woods right up close to the riders as they speed past negotiating some of the biggest and nastiest tree roots and turns around. This a 3 to 4 hour workshop with a 10am start. We will start with a full photo technical briefing before hitting the downhill action in the woods. I will take you through various photo techniques that will enable you to capture some amazing pictures just a few feet from the action. It's just incredible to be so close ! This is a fairly physical workshop as we move up and down the course amongst the trees to find the best angles to shoot from, often from low down amongst the undergrowth to maximise the impression of speed and visual impact. Long trousers, robust walking shoes/boots are a must. If you have some fingerless gloves too that would be helpful. This is NOT a course that needs long telephoto lenses. Ideally you will have a wide zoom (24-70mm or so) and a 70-200mm as well. A flashgun is also a must as I will be teaching you some stunning flash/blur photo techniques to enhance the feeling of speed in your images - giving them a real wow factor. It is also a course for ALL LEVELS of photography, from beginner to advanced. Don't worry, I can get as technical as you like and will gauge everyone abilities quickly. If you're someone that really wants to push your sports photography forward experimenting with new techniques then this is for you, but you can also get great pictures too if you want to keep things simpler. Don't be scared - whatever you photographic level I will take you to the next step. The course fee is £169 and places are strictly please email me at info@sportsphotographyschool.co.uk to book your place.